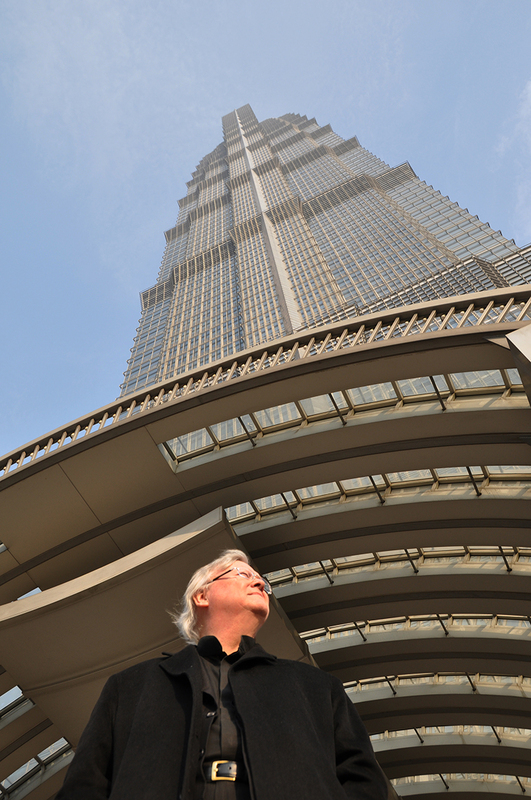 As Shanghai’s Jin Mao Tower approaches its 20th anniversary, Adrian D. Smith, Design Partner for the project at SOM in Chicago, reflects on the legacy of China’s – and his own – first supertall tower. Jin Mao Tower’s recent accomplishments and designations support the building’s reputation as one of the most treasured buildings in China. The question may sound odd coming from the current leading expert on supertall towers, but in 1993 Smith had yet to design a supertall tower, which is defined as being a building over 300m tall. “The client told us that they wanted an 88-storey tower because eight is the luckiest number in China; the pronunciation of the word for ‘eight’ sounds very much like the pronunciation of the word for ‘prosperity’ in Chinese,” says Smith. The client also expressed an alternate reason for the 88-storey project. In 1988, Chinese statesman Deng Xiaoping stood on the Jin Mao Tower site in the Pudong District – when he was 88 years old – and declared it to be the location of the future of Chinese business and commerce. Compared with the density of the Pudong District of 2016, it is hard to imagine the landscape as it was in the late 1980s and early 1990s: no tall buildings, with industrial shipyards and wharfs dominating the landscape. Most recently, in 2016, Jin Mao Tower was honoured as one of the 98 architectural masterpieces in China that was designated a National Heritage site. This heritage designation list was the first to include 20th-Century architecture. Additionally, Jin Mao Tower received the 2016 CITAB-CTBUH China Tall Building Legacy Award, which recognizes the proven value and performance of buildings over 10 years old. Jin Mao Tower has also become deeply rooted in Shanghai’s pop culture. It is a well-known site for adrenaline fanatics who have done everything from climb the tower with no ropes to BASE jump with several people at a time. In an effort to help the public experience the dazzling building, on July 28, 2016 Jin Mao Tower opened an official skywalk along the outside of the 88th floor. It is the highest exterior, fenceless, transparent walkway on a high-rise building in the world, rising 340m above the ground.